Xtreme Rules 2 is back. With Miss Xtreme Bikini champion. 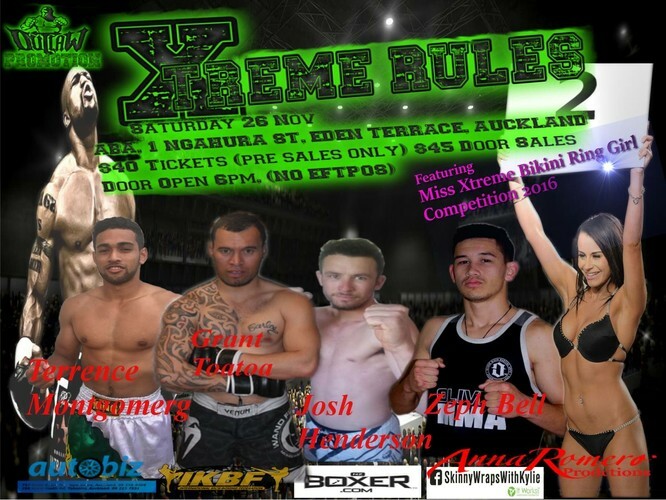 XKB4 Xtreme kickboxing Rules 4 Man. Woman title fight and are North Island man title fight.